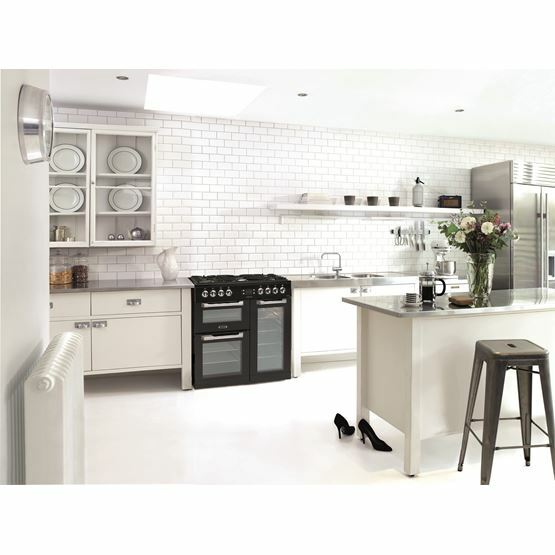 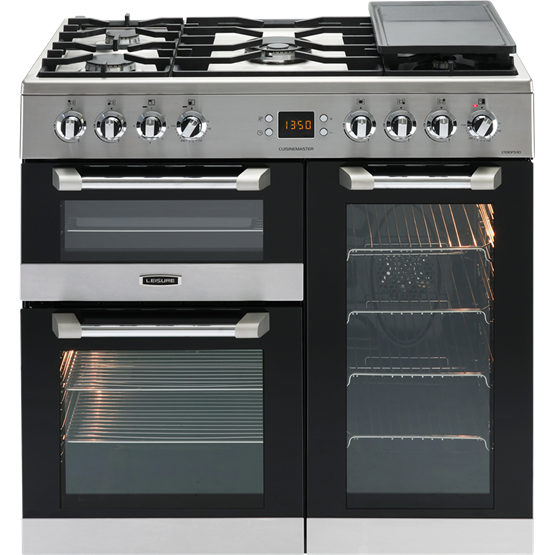 Created to complement a contemporary kitchen, this Cuisinemaster model's modern design challenges the thinking that range cookers are reserved for old country homes. 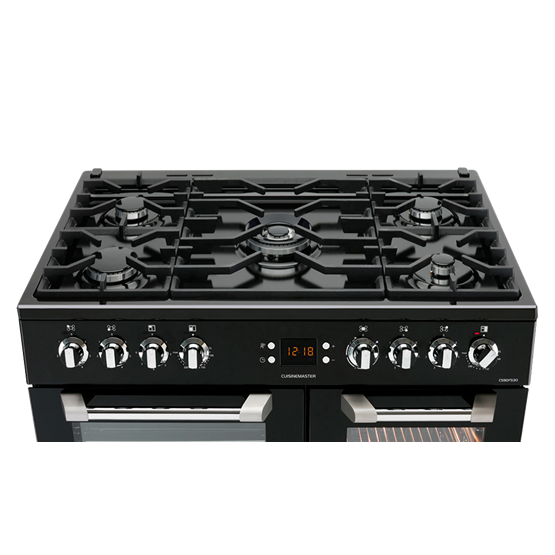 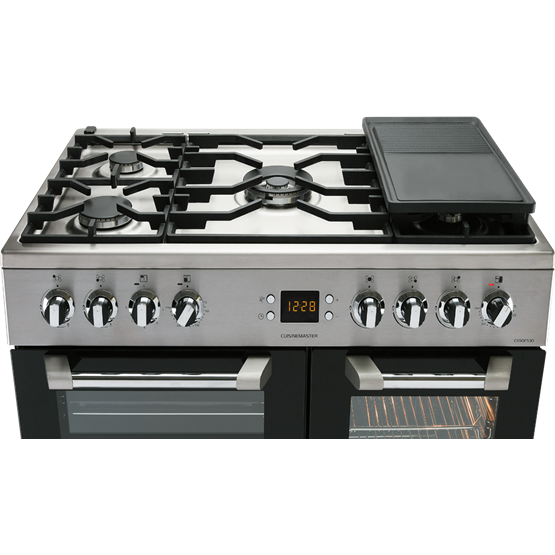 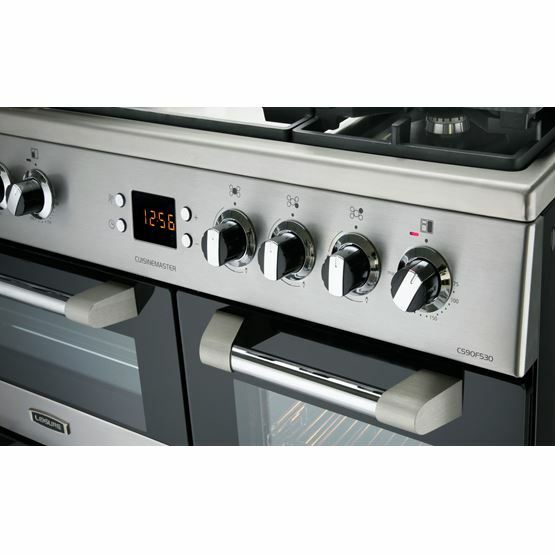 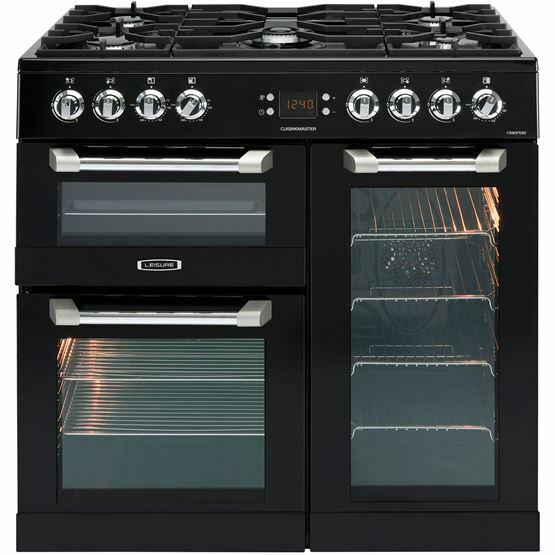 Three separate ovens and a dedicated grill provide plenty of room for cooking up a feast, and the flexible five-burner gas hob even comes with a wok burner - perfect for whipping up tasty stir-fries. 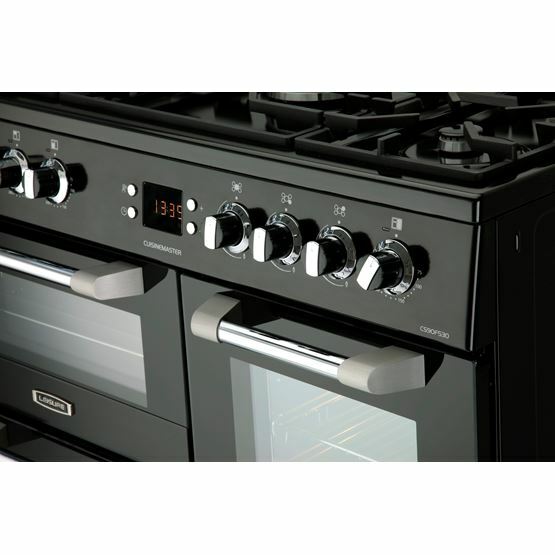 Offering effortless cleaning, the main ovens' Cook Clean liners can catch dirt and grease from inside of the cavities, removing the need to scrub the oven walls.